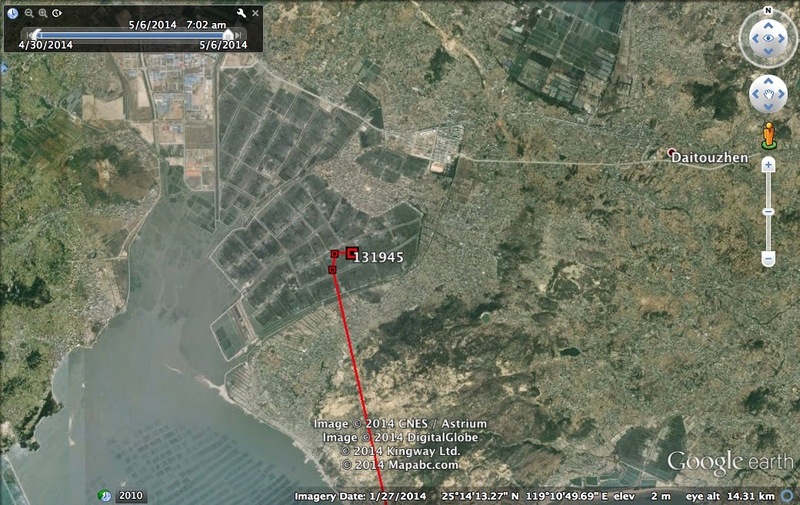 The Little Curlew on migration (131945 - BD) has just arrived in China. BD arrives in China. Map: Inka Veltheim. 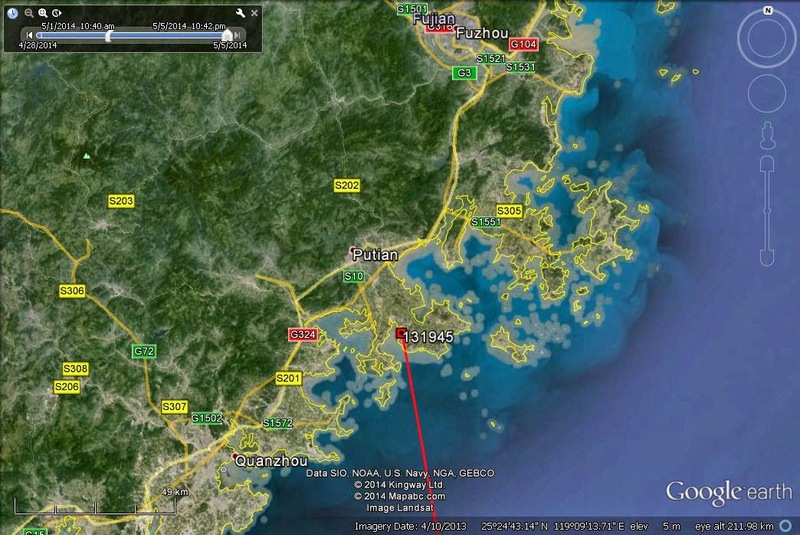 Its location is near the town of Putian and the latest fixes are from a coastal area with aquaculture ponds or salt pans. 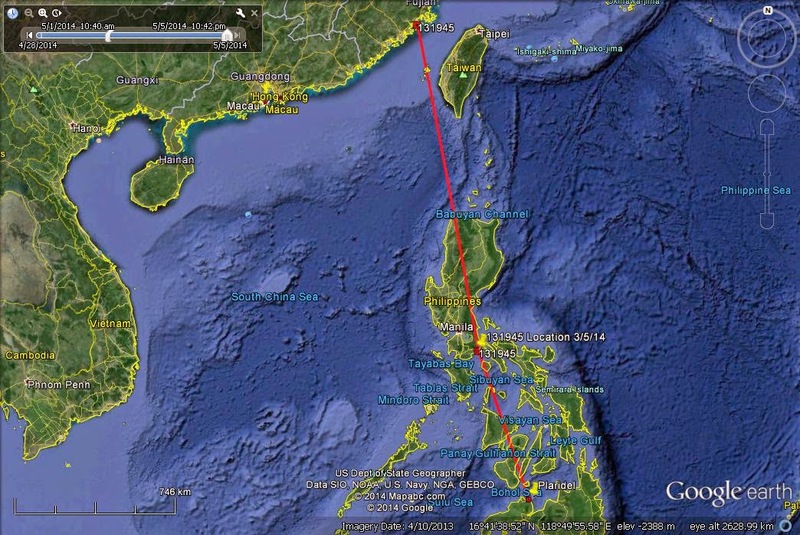 The bird has travelled approximatelu 1900 km from its last stopover in Plaridel, Philippines. We are expecting it to stay and refuel at the Chinese location for about 2 weeks before continuing its journey to the breeding grounds.